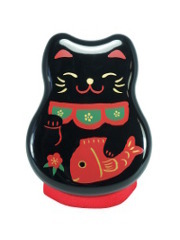 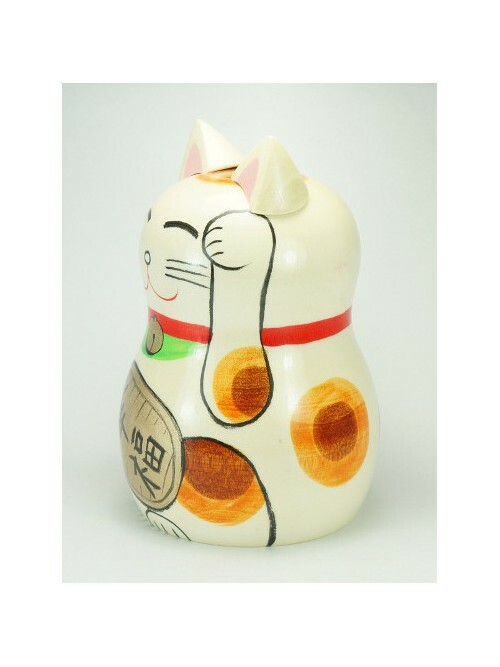 Maneki Neko is a very popular lucky charm in Japan. 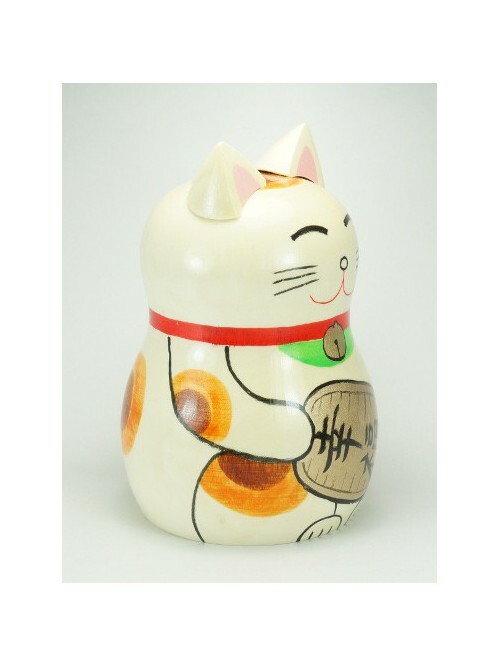 Usually in ceramic, it is here made of wood like a Kokeshi, with its three colors, its bell and its koban (old Japanese coin) with the inscription koufuku, happiness. 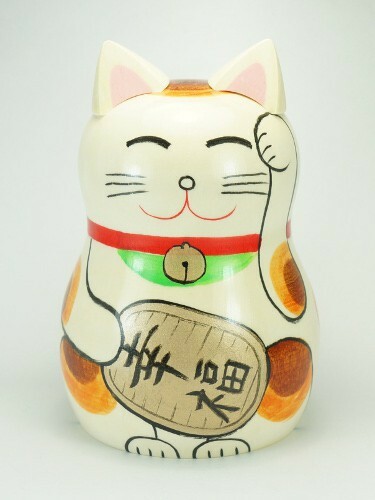 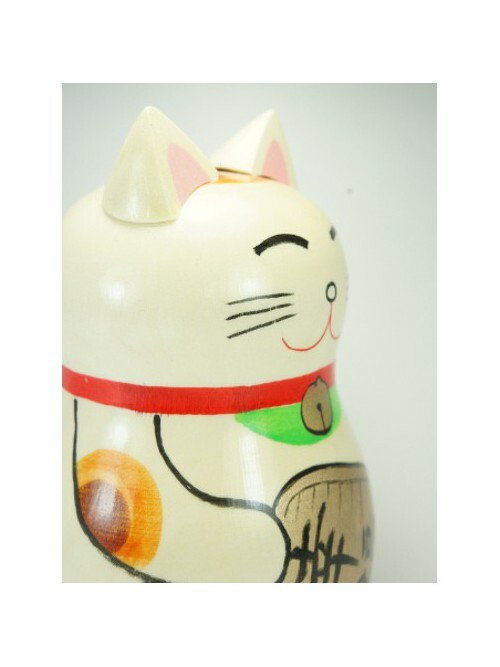 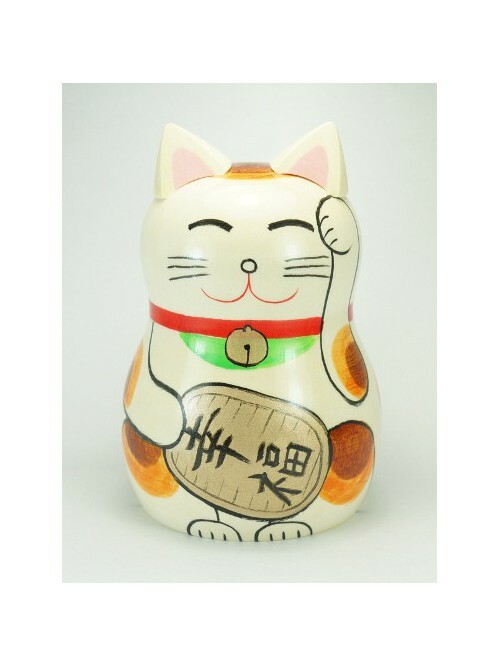 A Maneki Neko beckoning with the left paw is believed to bring good relationship to its owner.